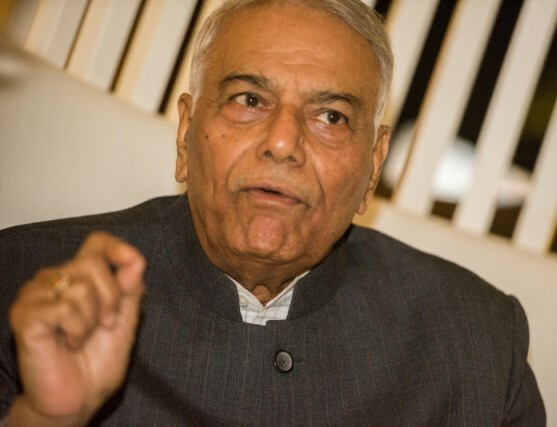 Yashwant Sinha, former finance India minister. 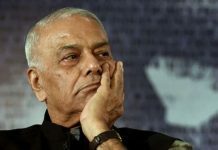 Yashwant Sinha has emerged as one of the dissenting voices against the BJP over the last few years. 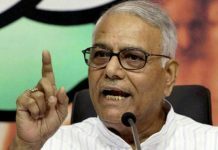 Sinha, who was the Finance Minister in the Vajpayee-led NDA government from 1998 to 2002 and held External Affairs Ministry for a brief time in the same government, recently wrote a book “India Unmade”, where he makes a scathing attack on Modi government for its economic policies. Hanan Zaffar and Majid Alam talk to him about the economic health of the country, Rafale deal and what he sees as the way forward for the Indian economy. Below are the excerpts. In your new book ‘India Unmade’, you mentioned that you were the first leader to propose Narendra Modi’s name as the BJP’s Prime Ministerial candidate. However, in the recent past, you have been openly critiquing him. Do you rue the decision proposing his name? Yes, I do. I regret the conclusion that I came to in 2013-14 before the Lok Sabha election. I think I should have checked further before finalising. Are you saying you were carried away by the Gujarat model? Yes. I thought the Gujarat model was a model of development. This is what everybody thought in the country. But the Gujarat model is a model of control. It is a model of how to control everything and that is the aspect which escaped my attention. Some people had mentioned to me that in Gujarat, Mr Modi ruled through the CMO and the secretaries of the various ministries. The ministers didn’t count. I always believe that such kind of model, even if it existed in Gujarat, could not be replicated at the national level. I have explained in my book how the government played with numbers. We must look at how we calculate the GDP in our country. Up to January 2015, we were calculating it in a certain way and the quarterly growth figures on which the annual growth figures are based had a certain base year. Now the base year has changed. Two things happened in January 2015 — First, they changed the base year which had a beneficial impact on growth figures and the second one was the change in method of calculating the GDP which also had a beneficial impact on the growth figures of the BJP. We have evidence to suggest that demonetisation was a failure. All the MSME (Micro Small and Medium Enterprises) production centres in the country suffered because of the note ban. Whether it is Tirupur, Ludhiana, Jalandhar, Kanpur, Noida or Nashik, labourers went back to the villages. Because of scarcity of cash nobody could employ them. That is why the government was forced to raise the allocation for MNREGA. Why did the MNREGA allocation suddenly go up from 42000 to 55000 crores? Not astonishingly, that also proved inadequate. In an article in a leading English daily, you accused Finance Minister Arun Jaitley for the mess you believe the economy is in. However, there have been counter arguments that you shouldn’t criticise current dispensation because you had to be replaced as the finance minister in 2002 allegedly because of large NPA’s and UTI scam. 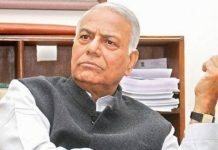 Jaitley even said Sinha is a man who is looking for a job at 80. How do you respond to that? I have clarified that it is the easiest way in which you can discredit a person. A day after I wrote the article, my son (Jayant Sinha) wrote a piece in The Times of India, not countering me by name but challenging some of the conclusions in my article and then Jaitley came out with that famous statement “job applicant at 80.” So, there were attempts made to make it a father-son issue, rather than countering on facts. The problem (UTI scam) took place in 2001 and it was a direct result of the Tehelka exposure. As a result, the stock markets crashed. US-64 was a stock market base fund and the basic problem there was that it had an assured return. I think that as a result of that US-64 experience, now you don’t have any fund which is market-based with an assured return. The crisis took place in 2001 and I left the Ministry of Finance in July 2002. If they had to find a replacement because of my performance in the Ministry of Finance or because of UTI, then the change should have happened in 2001 itself. A lot is happening in the Parliament on Rafale, you have said clearly in the book we can implicate Modi since we have a Reliance defence company coming 10 days before the agreement. There have been developments after you wrote the book. What is your take right now? The Supreme Court judgment has come. The factual error in the judgment is something everybody knows now. The government itself has filed a petition in the court for correcting that judgment. It is the government version which is the basis of the Supreme Court order. I personally think that the SC order is deeply flawed and that is the reason there is no closure. 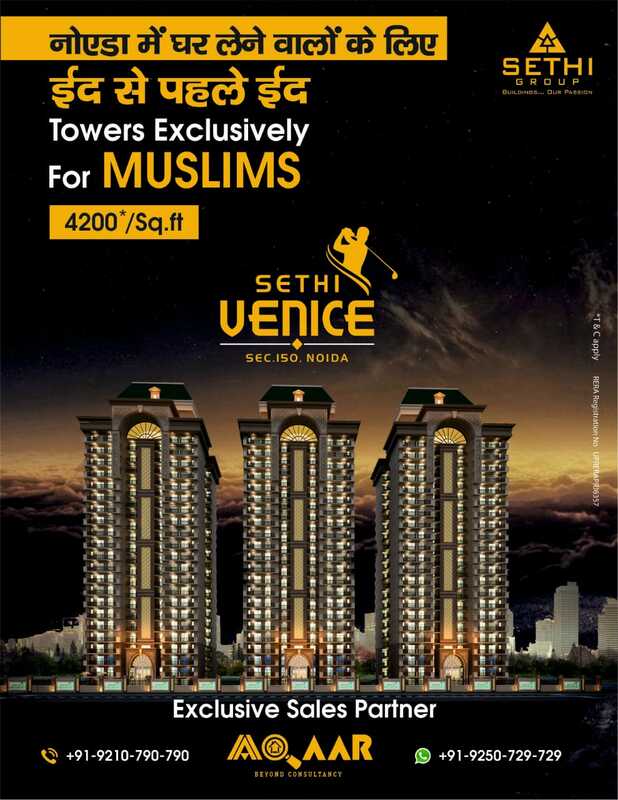 And we (Arun shourie, Prashant Bhushan and Yashwant Sinha) hadn’t asked Supreme Court to give a judgment. It was a simple request to start a CBI investigation. We didn’t ask to pronounce the price or the procedure. A glaring error is that they called some Air Force officers to the Supreme Court and talked to them about induction of the fighter planes and they talked about our neighbourhood. They didn’t talk about procedures. The Supreme Court didn’t ask them about the procedure. Talking about economic growth and economic progress and its bearing on elections, we see that after demonetisation, the BJP won the UP elections. So, do you think GST and demonetisation will have an impact on the 2019 elections? BJP always quotes the results of UP elections as justification for demonetisation. Now there are two points I would like to add. One is that a popular verdict cannot be taken as justification for one single policy because when you’re going to elections, many factors play out. So, it is wrong to say that it is only because of demonetisation that BJP won the UP elections. When did people realise that demonetisation was a failed exercise? It was when the RBI said that 99.3 per cent of the currency has come back. Until then it was all guesswork. Any contention against it could have been challenged and were being challenged. Who, according to you, could have been the best person in the BJP to lead the finance portfolio? This is the idlest debate in which one can engage. There is no individual but the people of India who would lead this country. I said somewhere that we have a sickness called ‘who’. After Nehru who? After Vajpayee who? After Modi who? Everytime you have somebody who has been asking this question. Who was the leader who was matching the personality of Vajpayee in 2004 in the Congress Party? Did anyone imagine that you will have Manmohan Singh becoming the Prime Minister? Yes, don’t look out for a Messiah. This is the most dangerous thing in a democracy. In a way, you are criticising yourself because it was you who wanted to make it a presidential sort of contest by proposing Modi’s name as a prime minister. Yes, I am. I have said in the book that I wanted to make it a presidential election and it became the presidential contest in the sense that Manmohan Singh was already on his way out and it was Modi and there was nobody else. There has also been a passing reference to the Kashmir issue in your book. You also led a ‘Concerned Citizen’s group’ to gauge the situation in the Valley. Your assessment has been that there is an alienation between Kashmiri people and rest of India. But do you think there ever has been any sort of integration? 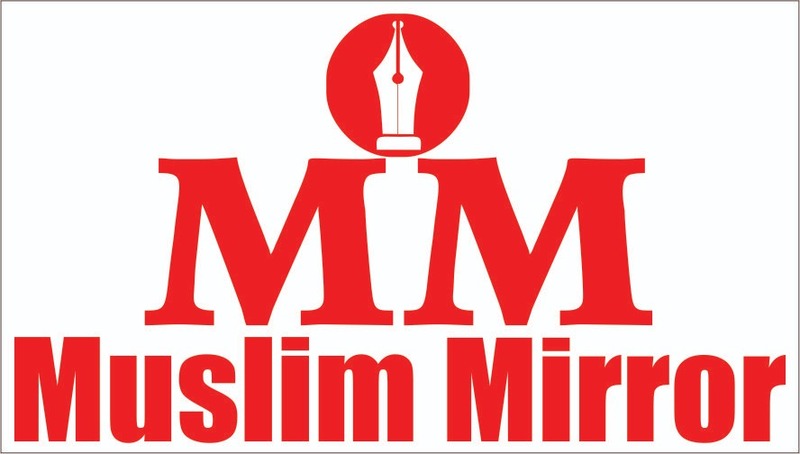 There have been some largely successful attempts at integration which created the sense of satisfaction among the people in Jammu and Kashmir and the last example of that was during Vajpayee’s tenure when he talked about insaniyat, jamuriat and Kashmiriyat. During all my visits to Kashmir, one Prime Minister who is remembered with a great deal of respect is Vajpayee, because he brought human touch to the issue of Jammu and Kashmir. That is why in the agenda of governance of the BJP with the PDP we had mouthed the same sentiment. But we didn’t follow that policy. I am not only blaming this government; successive governments in Delhi have not dealt with the issue in a way they should have, and this government in particular seems to believe that they will solve the problem with the use of force. The only way forward is dialogue. We need to talk to stakeholders. We have to identify the stakeholders. This is government terminology. In Vajpayee’s time we started a dialogue with Hurriyat. Mr. Advani also had a meeting with Hurriyat. So ,we recognised the Hurriyat as stakeholder. My spontaneous reaction on this Q/A session was mixed, to be honest. Yashwant has been politically correct to suit his personal/family agenda (as a bureaucrat, aka, IAS role, the British model, not the strategic, long-term national agenda). When he realized there is a change of heart in the nation (from a hypocritical soft Hindutva to an open, state-supported (2002 Gujarat butchery of preventing Modi getting a visa to enter the US, details very well known to Yashwant, he remained in BJP. It was a tactical decision to suit him, personally. It was not strategic to an analyst, CIA-type). This kind of behavior is well-noted by McKinsey who, for $-sake can behave like Gupta (former CEO, now in jail) and present Jayant (Yashwant’s son), who garland’s “convicted” criminals released on bail +++. If that is happening in the largest democracy, J&K issue will never be solved and get worse with time. There is no need for further comment on the rest. My spontaneous reaction on this Q/A session was mixed, to be honest. Yashwant has been politically correct to suit his personal/family agenda (as a bureaucrat, aka, IAS role, the British model, not the strategic, long-term national agenda). When he realized there is a change of heart in the nation (from a hypocritical soft Hindutva to an open, state-supported (2002 Gujarat butchery of preventing Modi getting a visa to enter the US, details very well known to Yashwant, he remained in BJP. It was a tactical decision to suit him, personally. It was not strategic to an analyst, CIA-type). This kind of behavior is well-noted by McKinsey who, for $-sake can behave like Gupta (former CEO, now in jail) and present Jayant (Yashwant’s son), who garland’s “convicted” criminals released on bail +++. If that is happening in the largest democracy, J&K issue will never be solved and get worse with time. There is no need for comment on the rest.